Rosemary can walk… thanks to you! Thanks to Operation Tanzania and you, Rosemary, 10 months, won’t have to live her entire life on twisted, painful clubfeet. Rosemary’s parents were doing all they could to care for Rosemary and their four other children. But, work is scarce. They could barely provide food and clothing… let alone medical care for Rosemary’s clubfeet. Rosemary is one of the hundreds of children who crowd into the waiting area of our partner hospital, CCBRT, each day. Erwin Telemans, the CEO of CCBRT has met too many families like Rosemary’s. Families desperate to help their children, but unable to afford their medical care. And, his heart breaks when he can’t provide treatment because there aren’t enough funds. His goal is to create a steady, dependable revenue stream that will last into the future – to fund thousands of treatments for children with medical needs each and every year. The plan is to build a private clinic offering premium services at premium prices. 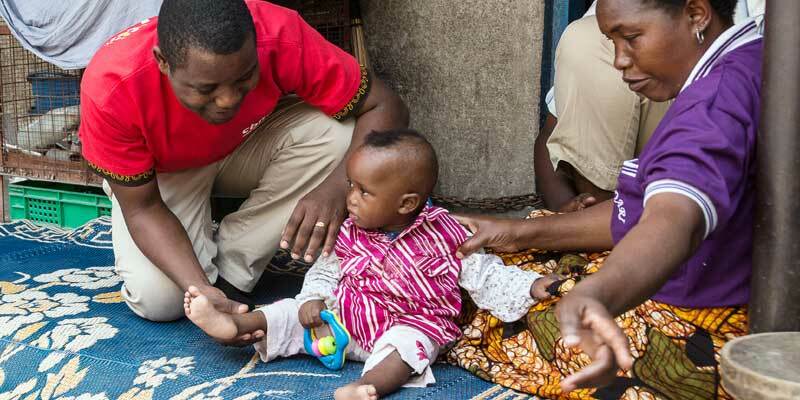 Profit from the private clinic will fund free services for Tanzania’s poorest children. A pilot project was tried, tested… and it works! Once it’s fully operational, it will generate enough funds to care for more than 7,000 children per year! As of December, you’ve already given a whopping $1.03 million towards building the clinic. The first $350,000 was matched by a small group of leadership donors. This doubles the impact. WOW! 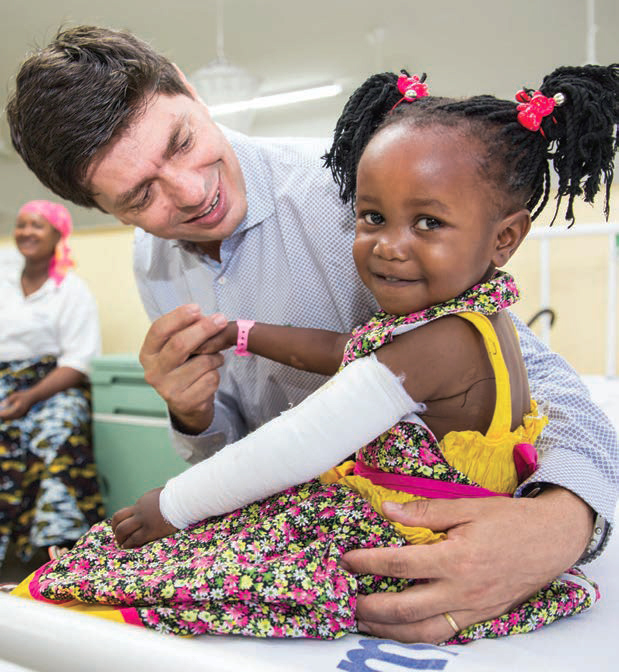 Erwin Telemans, CEO of CCBRT, with a young patient after she received free treatment.